Time for an all new update. We have had a busy week and obviously have some more busy days closing in on us. This week we have reached another fantastic milestone, thanks to all of you! In this update we will also brief you on the latest production status and tell you more about the drivers & support improvements. We’ve reached another milestone! We’re incredibly happy with the amount of fans and backers from all around the world who joined this campaign. It’s heartwarming to see our fan base growing steadily each day. 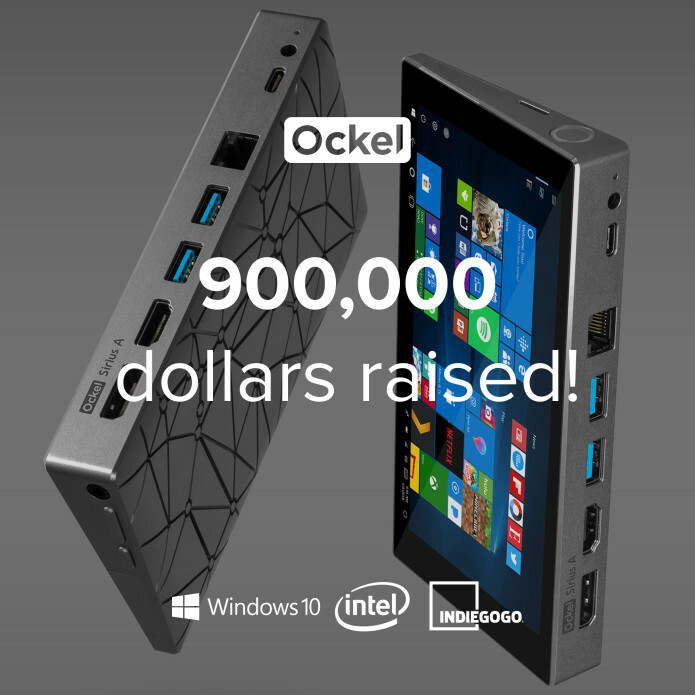 Last week the Indiegogo counter hit the amazing $900.000 mark. Thank you so much for all your support! Would it be possible to reach the mindboggling $1.000.000 any time soon? We’re working around the clock to solve the issues reported by fellow backers. In the last couple of days we have been focusing on the optimization of the Battery Management Driver as we received some reports with issues related to the battery. Great progression has been made here. We’re eager to release the latest update as soon as possible via our online support center. In addition to the Battery Management Driver we’ve also been working on a fix for the detachable Wifi chipset, the RJ-45 port functionalities and the Wifi/Bluetooth drops. We have scheduled a meeting with Intel for later this week in order to dive into the technical difficulties. We have high expectations for a quick fix in the near future. On our support page we have released a driver set for the Ockel Sirius A & Ockel Sirius A Pro. Last week we’ve included a manual on how to install these drivers manually, as they are all listed in separate folders. We expect to be able to optimize the way of installing these drivers even further with an ‘automatic tool’ later this week. Stay tuned for more information. For those who have been e-mailing us via: support@ockelcomputers.com, we’re doing all we can to respond within 48 business hours. Last week we updated you with the latest estimate on the start of the shipments of the Ockel Sirius A Pro Moon Silver and the remaining batch of the Ockel Sirius A Pro Venus Gold configurations. There is not too much ‘new’ news to share, as we still expect to start shipping these configurations by the end of this week. Once we start shipping we’ll send you the tracking codes. Share your thoughts / experiences! We’re happy to read through your reviews/feedback. Feel free to leave a comment here on Indiegogo or via one of our social accounts (Twitter, Facebook, Instagram). If you have any product specific questions or issues, please contact our product specialists through support@ockelcomputers.com.